A musician performs at a previous Next Generation Jazz Festival. This year's event is set for April 5-7. 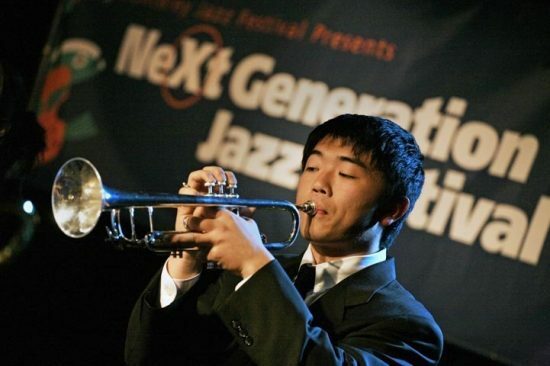 The 49th annual Next Generation Jazz Festival, which is presented by the Monterey Jazz Festival, will take place April 5-7 in downtown Monterey. The festival functions primarily as a competition for young performers who want to play at the Monterey Jazz Festival, which will celebrate its 62nd year when it returns in September. There are 68 groups from the United States, Denmark, and Costa Rica who are finalists in the competition. The festival begins at 7 p.m. on Friday, April 5 in the Serra Ballroom at the Monterey Convention Center. The show will feature such musicians as drummer Allison Miller and bassist Derrick Hodge, who will also serve as competition judges, as well as pianist Justin Kauflin, guitarist Russell Malone, and vocalist Michael Mayo. The Sheila del Bosque Quartet, from Berklee College of Music, will open the concert. Some performances will be streamed live on YouTube through a partnership with the Monterey County Office of Education’s MCAET TV. The festival is free and open to the public, though $50 VIP tickets are available for those who want to ensure a front-of-house seat and for a post-concert reception. For more information and to see a complete schedule of performances, go here.